Hello people! That was one long break, I know! This time it was due to technical reasons that I couldn’t blog. When it (never mind; that was just a non-functioning keyboard, which I couldn’t get serviced) cropped up, I was happy to leave the blog behind and say goodbye to it. But, one fine day I started missing this little space I’m so proud of. 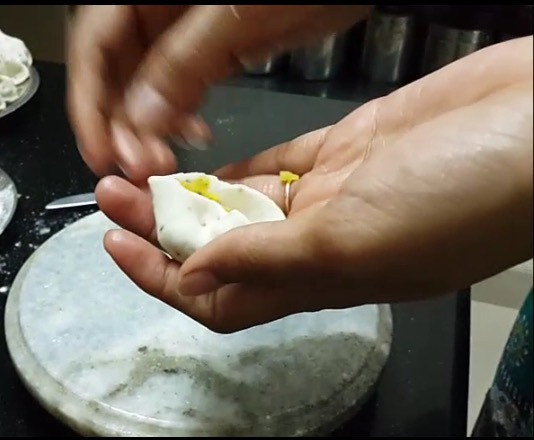 Due to constant encouragement and support from my dear sis, I thought I should come back to it… So, here I am with one of my favourite recipes. 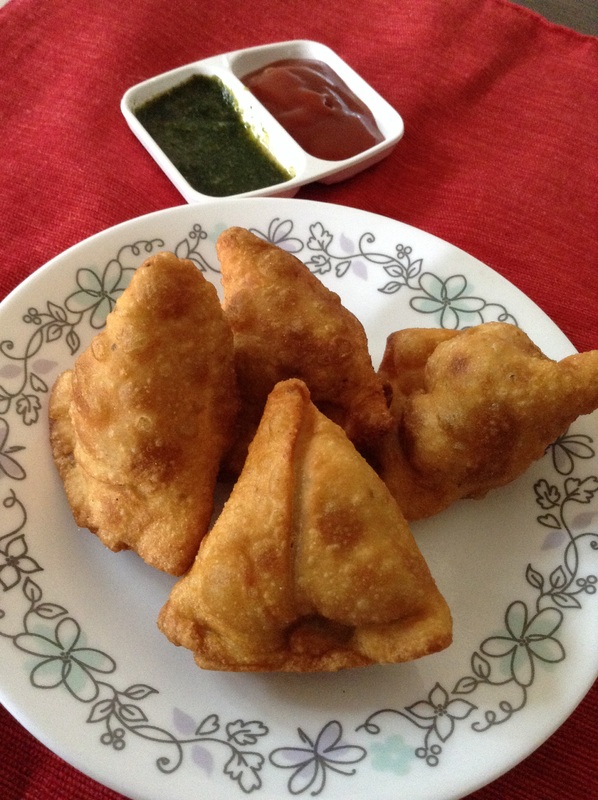 For a long time, I’ve been craving to make samosas just like the store-bought ones. 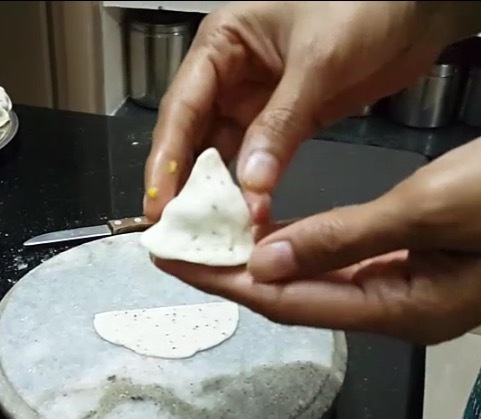 Crispy on the outer edges and lip-smacking savoury on the inside… and, they stay that way even the next day! So when I heard this recipe a few months back from a friend, I just couldn’t wait to try it. So I did, and whoa! What results! Since then, I’ve made these marvels a dozen times at least, and every time, people have come up and asked me where I bought them. 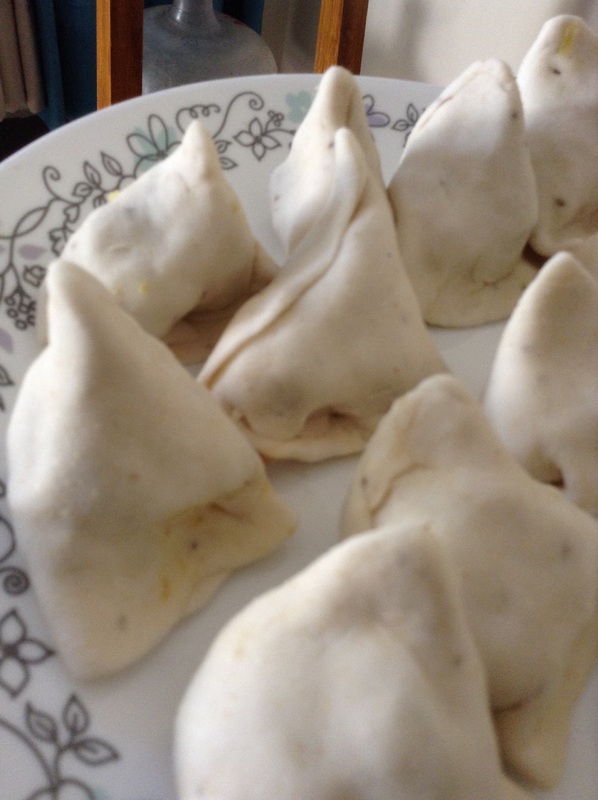 Well they didn’t a couple of times because of some mistake I made, but hey, that’s what this blog post is all about, so you can avoid the same pitfalls I made, and dish out some great, drool-worthy, compliment-fetching samosas! 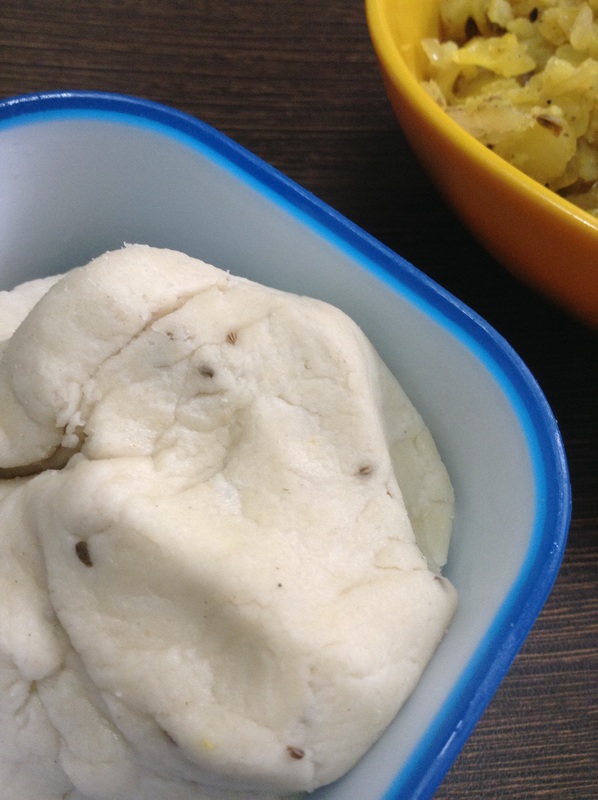 Bring together maida, rice flour, semolina, ajwain and salt. Heat 1 tablespoon of oil in a pan, and add it, steaming hot, to the mixture. Mix well with a ladle. Remember, the mixture will be very hot at this stage. Let it cool for a while and then mix with your hands. 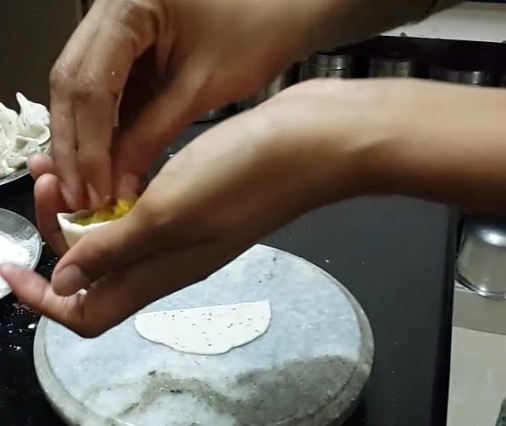 At one point, you will start feeling crumbs of flour between your fingers. 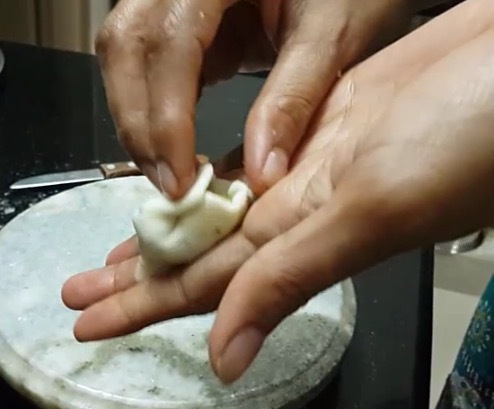 Now, add enough water and make it into a smooth dough. Let it rest for 30 minutes. Now for the filling. Heat oil in a pan, add mustard and cumin seeds. Add onions and fry till soft. 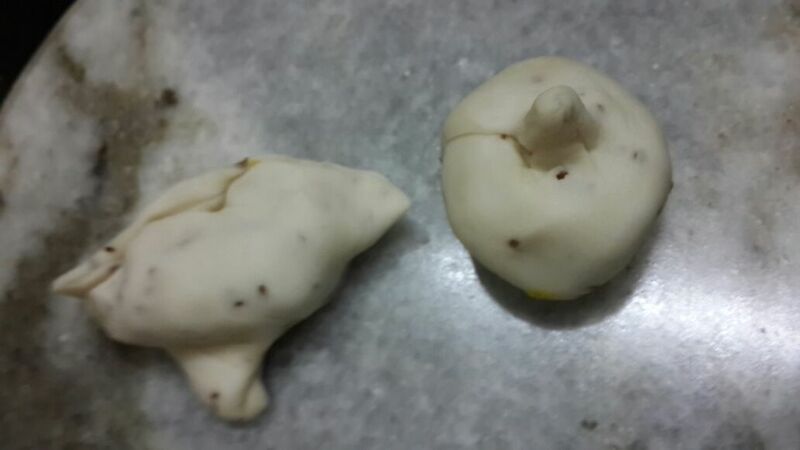 Add boiled, peeled and cubed potatoes along with turmeric powder, chilli powder and salt. Lightly smash the potatoes with the back of a ladle to blend with the other ingredients. Add garam masala and cook on low flame for about 5 minutes for the mixture to incorporate the flavours. Garnish with coriander leaves. Switch off and let it cool completely. 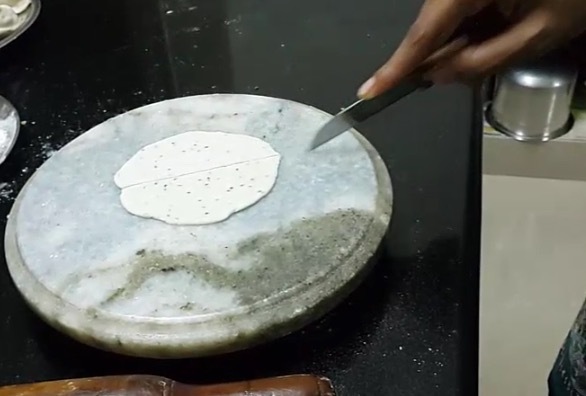 Roll the dough into a circle / oval shape of medium thickness. Cut into two halves. You will have two semi-circles now. Take a semi-circle and shape it into a cone. Fill the cone with the prepared stuffing. Fold one side of the open ended cone. Fold the other side so that the edges meet. Ensure that the oil is hot and drop two at a time (max) and fry till golden brown. 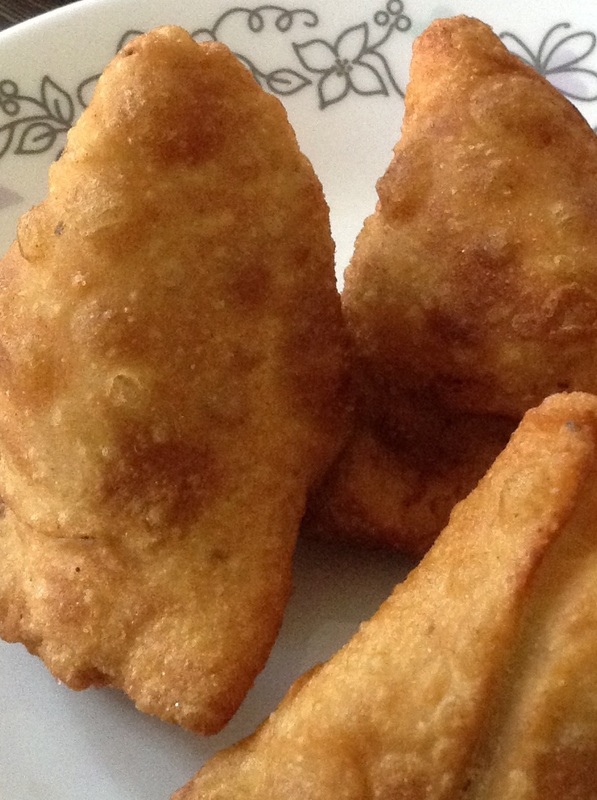 Crisp, hot samosas are ready! Most of us know potatoes aren’t as unhealthy as they are portrayed to be. 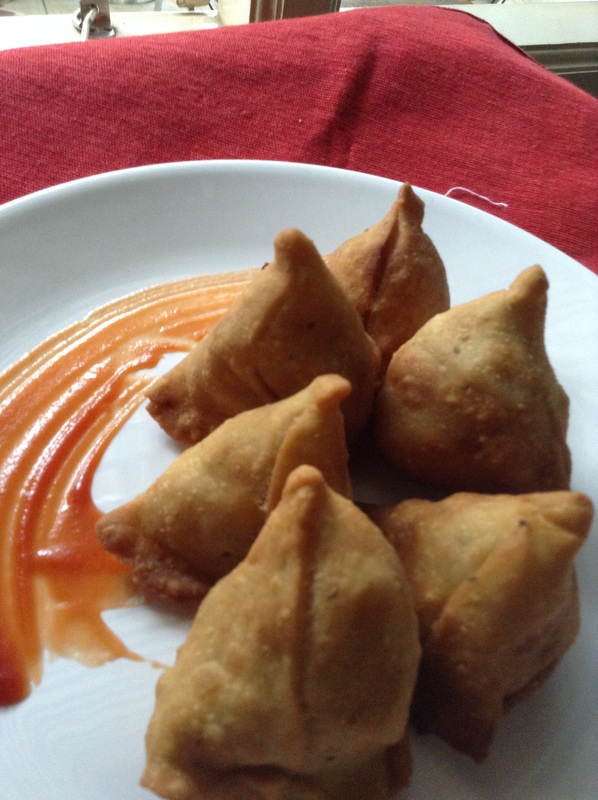 It is only the fat that we add that makes the dish sinful, just as I have done with the samosas. We can enjoy the nutritional benefits of potatoes when we consume them boiled, steamed or cooked with other vegetables without adding excess fat. Potatoes are a rich source of potassium and vitamin B6. Potassium helps in regulating blood pressure, while B6 helps in breaking down protein and in keeping blood sugar levels under the normal range. How to buy : It is better to select individual pieces than to buy packaged potatoes. 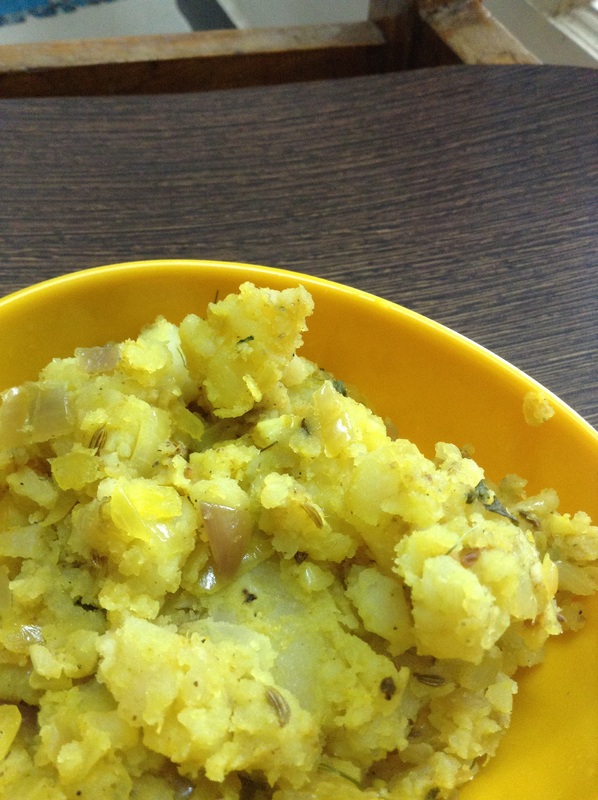 Look for firm potatoes and avoid the ones with a greenish tinge. How to store : Potatoes need not be, or rather should not be, refrigerated. Refrigeration would cause the starch in the potato to convert to sugar, resulting in a sweet taste and discolouration when cooked. Keep them in a cool, dry and shady place and they will stay good for more than a month. On a cheerful day, you try a new recipe which you think looks simple and easy. But for some reason it turns out be a blunder. Yes! I have been there and done exactly that. Not once, but many times. I’m sure people out there shout out “that’s the way you learn”. I do agree. Here, I present a few of my bloopers to help you through your bad cooking days. Some are serious. Some are merely funny. Come along and enjoy! Blooper 1: I forgot to add ‘steaming’ hot oil to the flour. After trying the samosa half a dozen times, I was over confident (sigh!) about my final outcome. I missed out adding hot oil to the flour and realized it soon after frying the first batch. The samosas were soggy and soaked in oil. Here is the evidence. 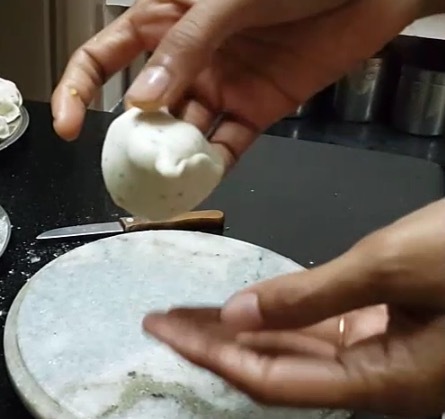 Blooper 2: A few ‘imperfect’ trials before I got the perfect ‘standing’ samosa.